This selection was made with student singers and pianists in mind. 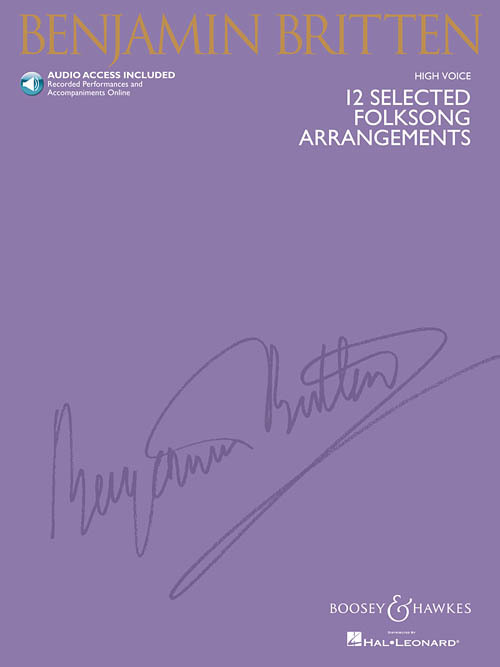 These are 12 of the most tangible, useful and approachable of Britten's jewel-like folksong settings. Includes historical notes on the songs. The audio of performances by professional singers will aid in familiarizing students and teachers with these expressive lyrical works. Contents: The Ash Grove - At the mid hour of night - The Brisk Young Widow - Come you not from Newcastle? - Early one morning - Greensleeves - I will give my love an apple - O Waly, Waly - Sail on, sail on - The Salley Gardens - Sweet Polly Oliver - There's none to soothe. The audio is acceessed online using the unique code inside each book. It can be streamed or downloaded according to personal preference.